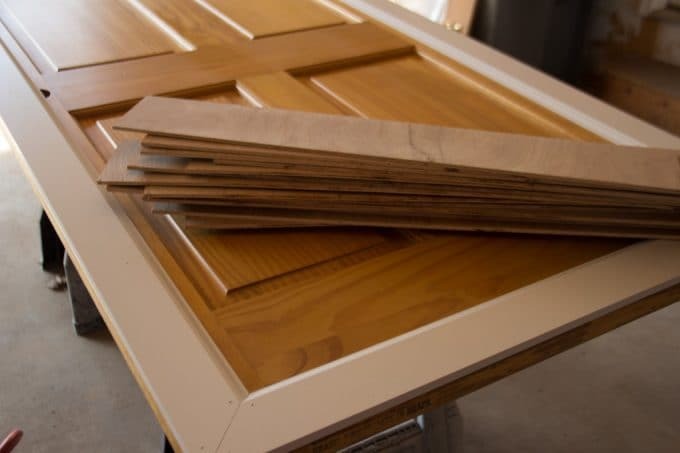 This tutorial for a DIY Faux Shiplap Barn Door can add tons of character to your home! 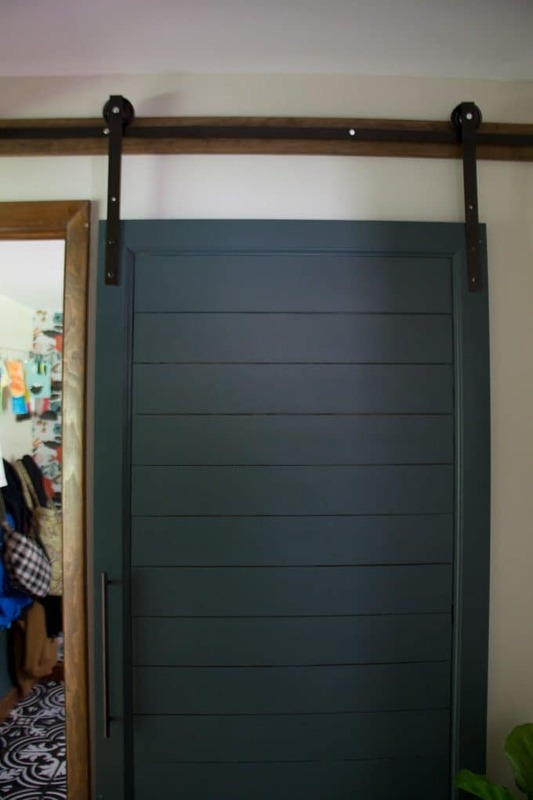 Today I’m sharing ALL the details on our DIY faux shiplap barn door. 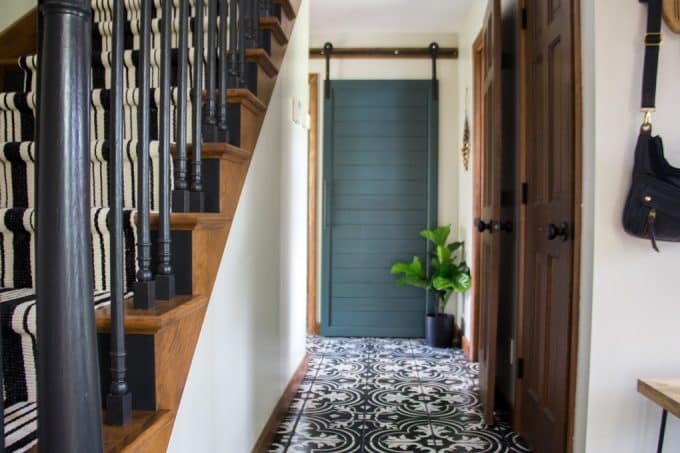 I actually revealed the door back when I shared my mudroom reveal, but I never shared the details on how I built it. Today I’m giving you the entire lowdown. 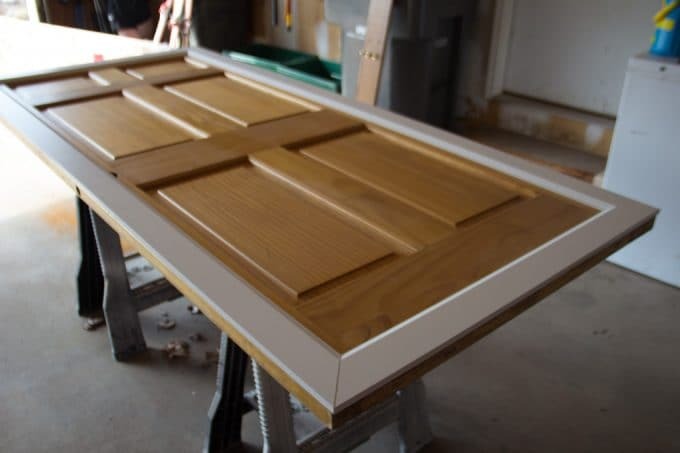 This entire project, including the door came in well under $100! 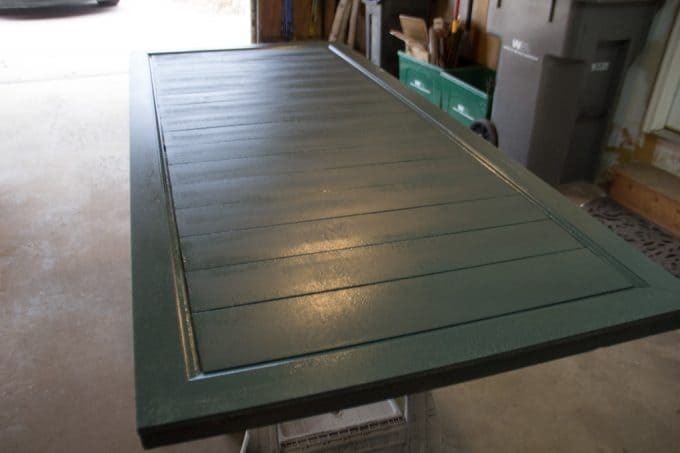 I started out this project with a solid core door that I found at our local Habitat restore for $20. 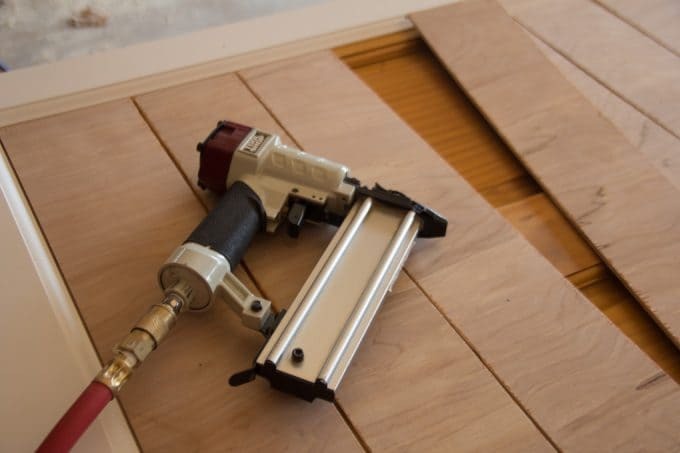 First I took some baseboard and attached it around the perimeter using my brad nailer. 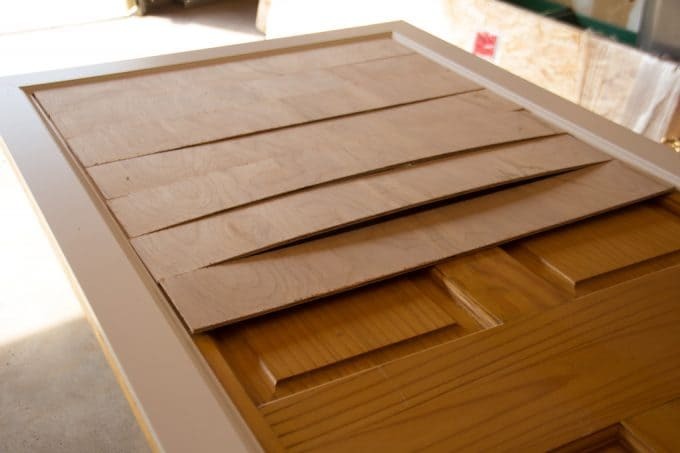 Then I took thin plywood and ripped it down into 4.5″ strips and measured the width of the door inside the trim pieces. Then I attached these pieces to the door using my nailer. Most pieces took 6 nails. I just spaced them with my eye, but they are about a dimes width apart from each other. When I got to the bottom strip I had to rip that one just a bit wider so that there wasn’t an awkward gap left. Then I painted it my favorite green: Benjamin Moore Hidden Falls. First I brushed the cracks and then I used a roller to hit the rest. 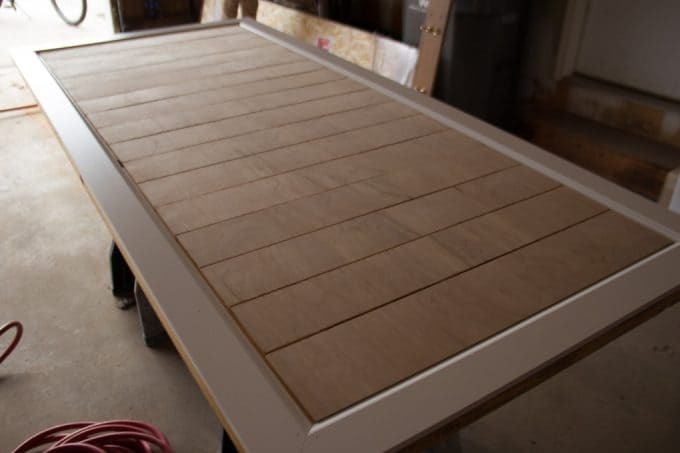 Then I screwed a 1×4 stain grade board to the wall where the barn door track was going to be mounted. This was to determine and mark where the studs were. Then I took it down and brought it outside. 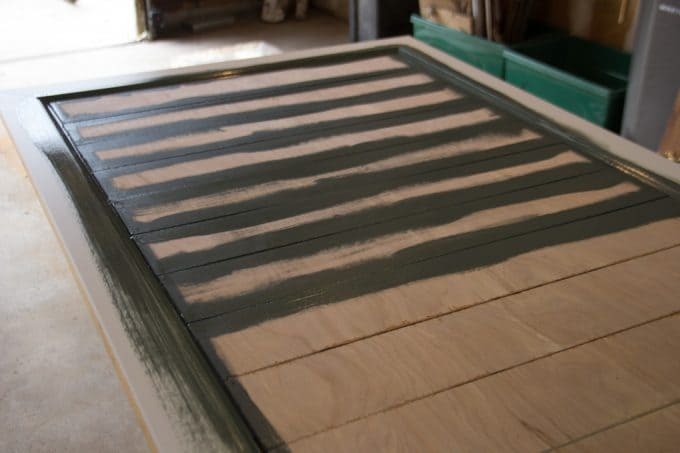 From here I just followed the exact same steps for DIY barn door hardware that I shared in this tutorial. When it was all assembled I added this handle to the barn door. When you open and close the door as long as you use the handle to pull out it doesn’t scrape the trim. I think that with a small guide or wheel on the bottom though it would keep you from having to pull the door out like this. 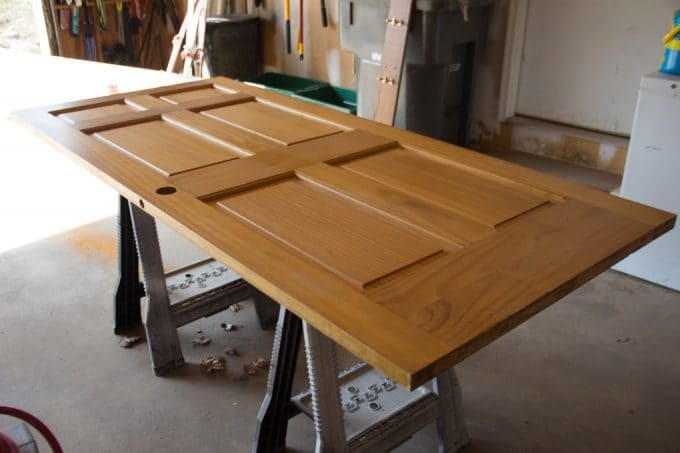 Hopefully this post inspires you that building your own barn door really isn’t that hard! Honestly, after building the track and then seeing how affordable the hardware has become online, I think I would have been better off just purchasing hardware! That way it takes all of the cutting, drilling, and spray painting out of the equation! 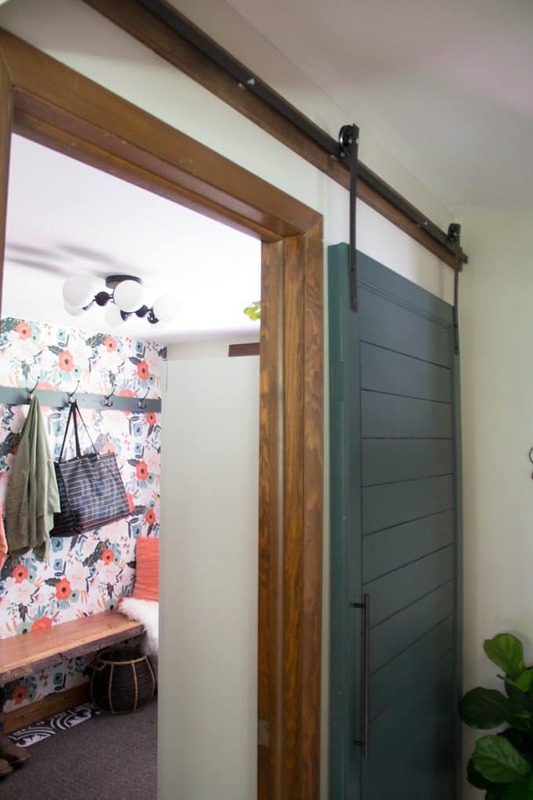 Even if I purchased the hardware, I still would definitely build a shiplap barn door like this over and over again. 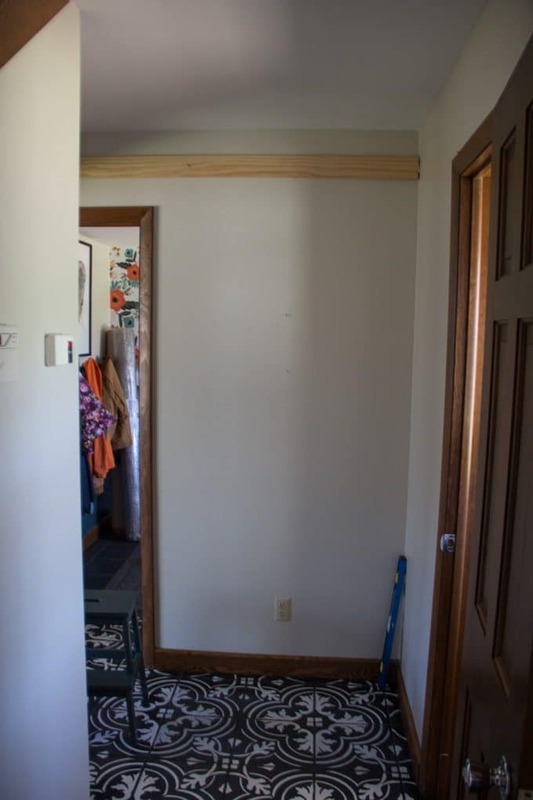 Did you shiplap the backside of the door as well? If you close it, what does the reverse side look like? If we still lived there I’d send you a photo, but we sold that house. I didn’t shiplap the back, I just used a thin sheet of plywood to cover the backside. Thanks.